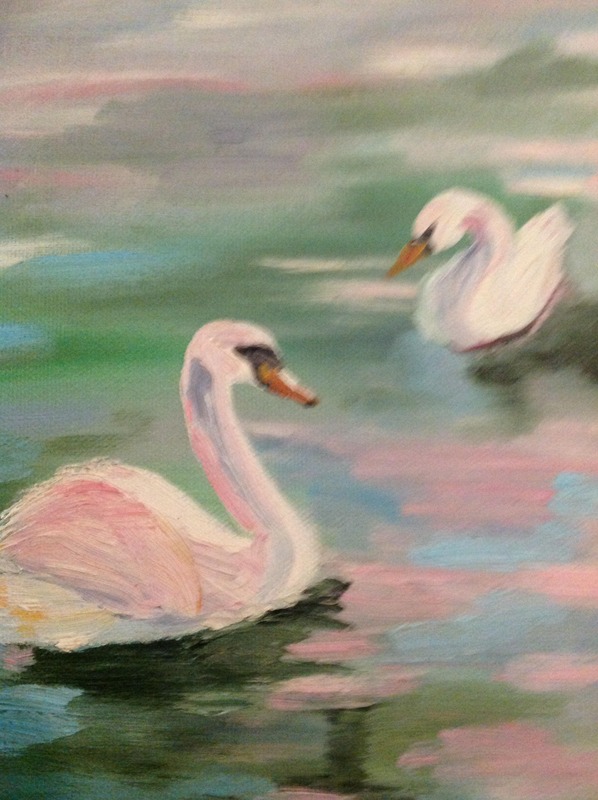 A Pair of Swans is an original 12" x 16" oil painting. 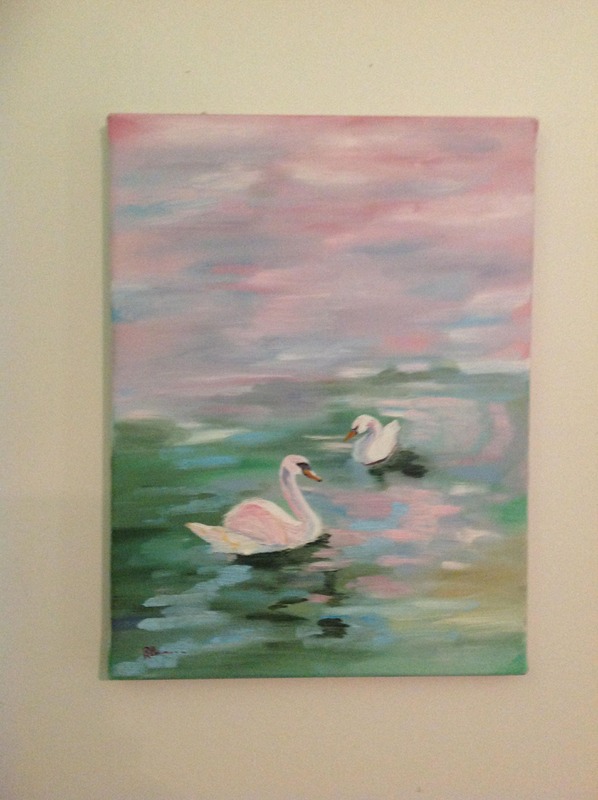 It's an impressionist painting of two swans swimming in the water. The whimsical birds are circling around each other. The colors are light pinks, greens and blues. 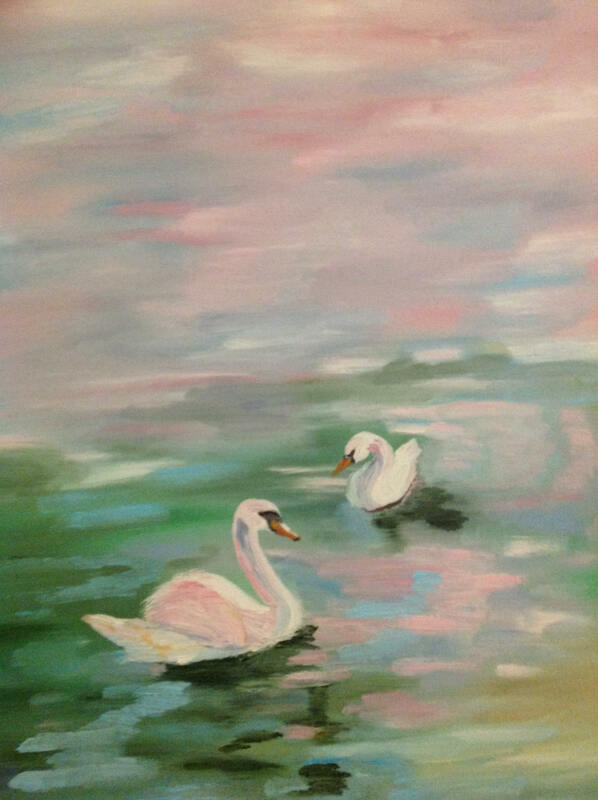 This is a beautiful painting and would be perfect in a bedroom or a bathroom. The cool pinks, blues and greens blend into any decorator's color scheme. 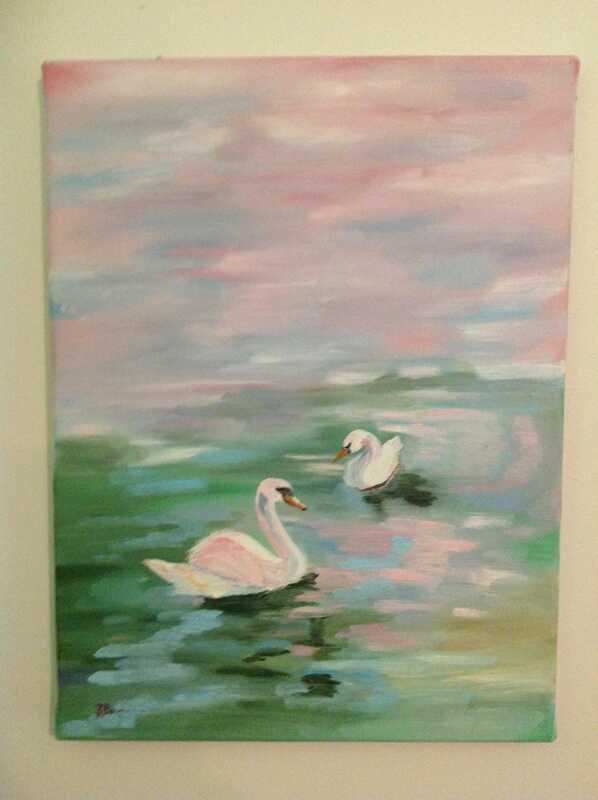 This is a very peaceful painting.